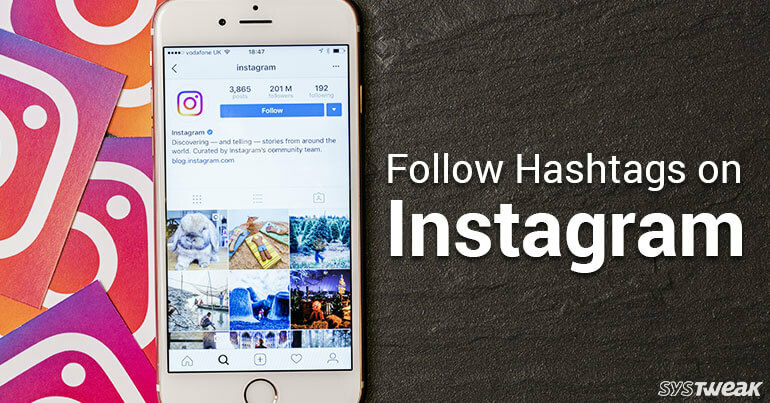 Instagram is one of the most widely used social media platform amongst users. It is trending worldwide for so many reasons. The Hashtag culture was initially adopted by Twitter, but it was Instagram that promoted it on a large scale. Along with a simple and unique interface it allows you to post multiple pictures to stories, go live and interact with your followers, add funny doodles to your photographs and much more. And now we just got one more reason to love it even more! Instagram now allows you to follow specific hashtags and get the top posts for that Hashtag to appear in their main feed. Suppose, you’re way interested in a specific sport, say Baseball for instance. So, you can now follow that specific #Baseball Hashtag and see all the related posts in your account feed. Cool, isn’t it? Launch Instagram app on your Smartphone and tap on the search icon from the bottom menu bar. On this next page, tap on the search bar icon and start typing anything, any relevant topic which you wish to follow. When you’re done typing, just switch to the third tab named “Tags”. Instagram will then greet and introduce you with this new feature in a form of pop up dialog box. Hit “Next” once you’re done reading it. To follow a specific Hashtag, tap on “Follow” button at the top. Now, you’ll receive all the relevant posts in your account feed, denoted with the Hashtag in the title, along with the user who posted it. You’ll also be able to view all latest stories related to that particular Hashtag term. To see a list of all the hashtags that you follow, go to your profile page and tap on “Following”. Now this screen is divided into two parts, the first part includes all the users and second will include all the Hashtags that you follow from your account. The process of unfollowing stays quite the same, simply tap on the blue “Following” button next to the Hashtag’s name whose posts you no longer wish to view in near future. These Hashtags are available for public view, visible to everyone. However, if you have set your account as “Private” and use Hashtags, that will only be visible to your followers. Well, this is a great initiative by Instagram to make our user experience much more delightful and engaging. What do you think guys? Do share your feedback in the comment section below and let us know how much you liked this new feature update by Instagram.